Nigerian terrorist organization says it received no ransom. 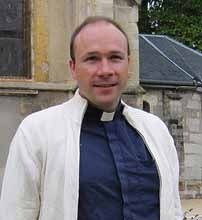 (Morning Star News) – Nigerian Islamic extremists have released a French Roman Catholic priest they kidnapped in Cameroon in November, according to published reports. Members of the Islamic extremist terrorist organization Boko Haram freed Georges Vandenbeusch on Tuesday (Dec. 31) but received no ransom money, according to Agence France-Press (AFP). Vandenbeusch, abducted from Cameroon near the Nigerian border on Nov. 13, returned to France on Wednesday (Jan. 1), reported France24. Boko Haram had reportedly demanded an undisclosed ransom amount from France. The French government refused, saying the priest should be released on humanitarian grounds. AFP quoted an unidentified Boko Haram source as saying the group decided to release the priest on “compassionate grounds” after benefiting from his medical expertise. Vandenbeusch had been caring for about 10,000 Nigerian Christian refugees who fled their communities following attacks by Boko Haram. Augustine Fonka Awa, governor of Cameroon’s Far North Region on the border with Nigeria, reportedly said the abduction of the French priest came in retaliation for his support and care for the Nigerian Christian refugees. Gunmen broke into the church home of Vandenbeusch in Nguetchewe, 10 kilometers (six miles) from Cameroon’s border with Nigerian, and took him away in the night. Nigeria outlawed Boko Haram on June 4, declaring their activities illegal and “acts of terrorism,” and the U.S. State Department designated the group as a terrorist organization on Nov. 13. With some members of the Nigerian group coming from Cameroon, Chad and Niger, Boko Haram has grown into a heavily armed militia with ties to Al Qaeda that some fear could become a threat beyond Nigeria’s borders. The State Department’s 2012 Terrorism report ranked it the second deadliest terrorist group worldwide, after the Taliban.